Your living space doesn’t have to end within your interior walls. 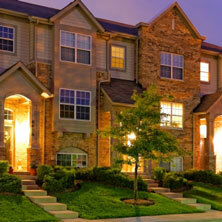 Your home is meant to be enjoyed inside and out, and it is our goal to make that happen in a breathtaking way. Enhancing the outdoor experience for more than two decades, Project Landscape believes in providing you with deck and fencing options that compare to nothing else. No matter the size of your project, we happily accept the challenge, providing you with superior care from start to finish. Listening to your vision, and making it come to life, we work with you closely ensuring that you not only trust the work we do, but that you love the outcome, enjoying your landscape for years to come. Customer service is paramount at project landscape – we build lasting relationships and always stand behind our installations. 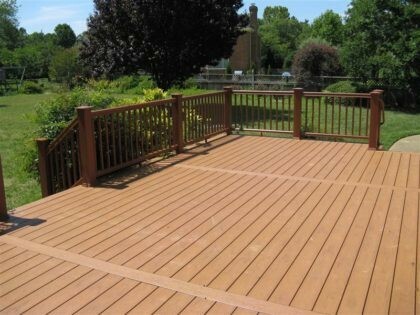 Composite decking has become a more popular choice among residential homes through-out Calgary and surrounding areas, this is because it’s high durability, no maintenance and the choices of colors. 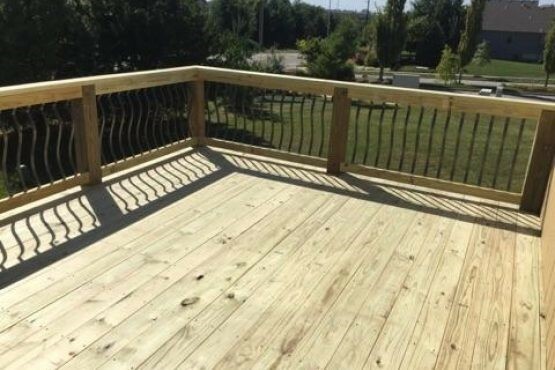 This type of decking is more upfront then wood materials. 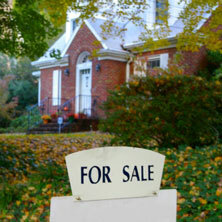 Where you save money is on the maintenance such as, staining or painting as well as replacing boards from splintering. 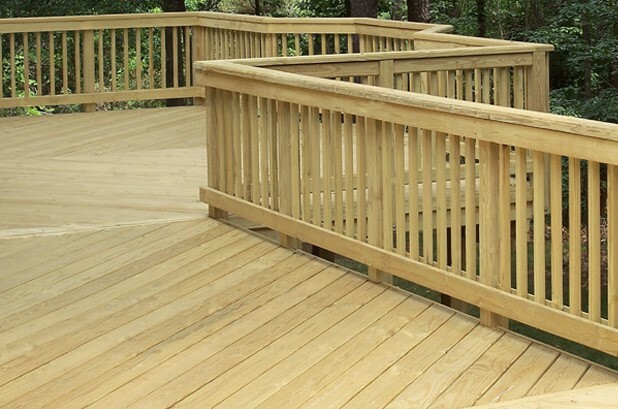 While a wood deck is cheaper to build, it will cost you more year to year for upkeep. 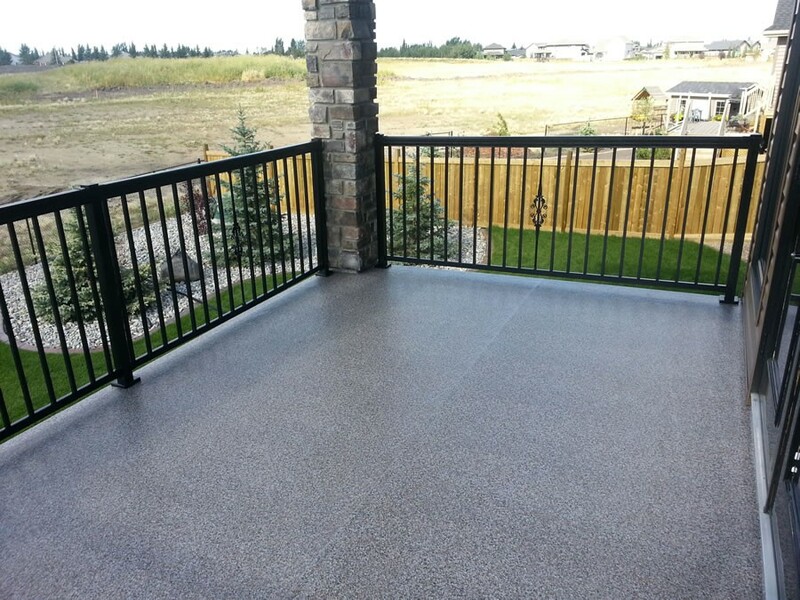 With composite decking in Calgary, a simple spray down with your garden hose now and again is all it needs. 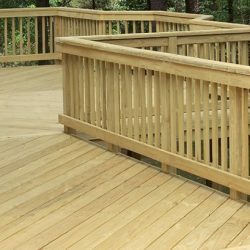 The only disadvantages of the composite decking is the price up front and that it can grow mold under the floor boards over time. 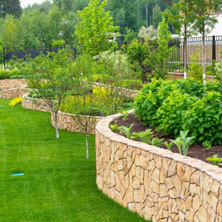 This is why project landscape takes every precaution of doing things right the first time. On all joists we install joist tape to prevent this from happening, just another thing we do so you get the greatest value for your dollar. 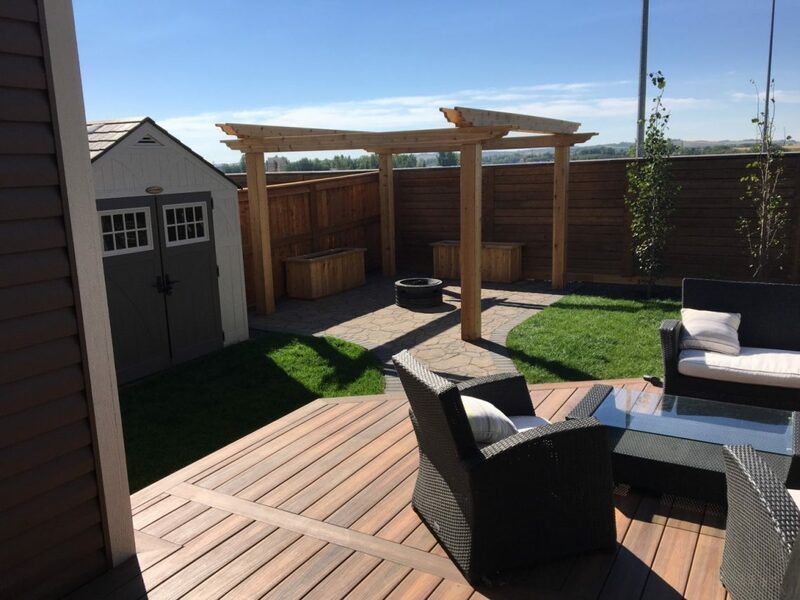 Cedar decking is one of the most prominent decking materials across Calgary, and given its number of benefits it’s easy to see why. 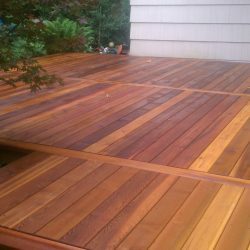 A cedar deck is a perfect addition to your outdoor living space. 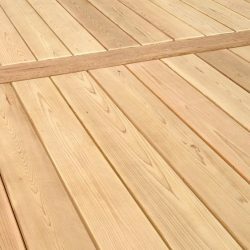 Another advantage of using cedar for your decking material is that Cedar has a natural resistant to weathering, moisture and insects. 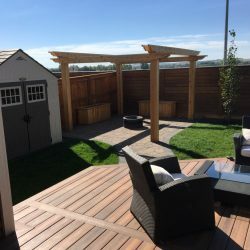 Being a decent step up from pressure treated wood and being affordable when it comes to decks as well as one of the most attractive materials on the Calgary market. 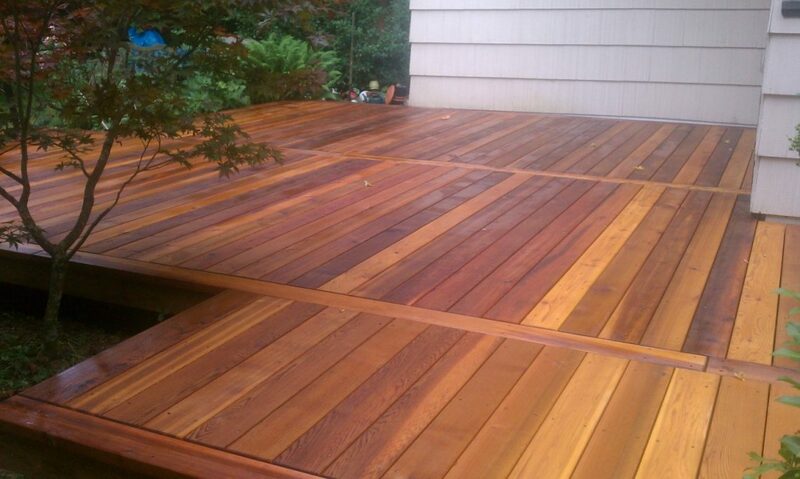 If you’re thinking of adding a cedar deck to your home, Call project landscape today for your free estimate. 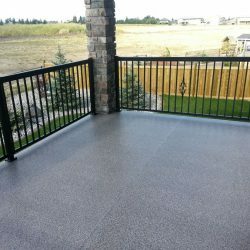 One of the biggest advantages to installing a pressure treated deck is that it is affordable. 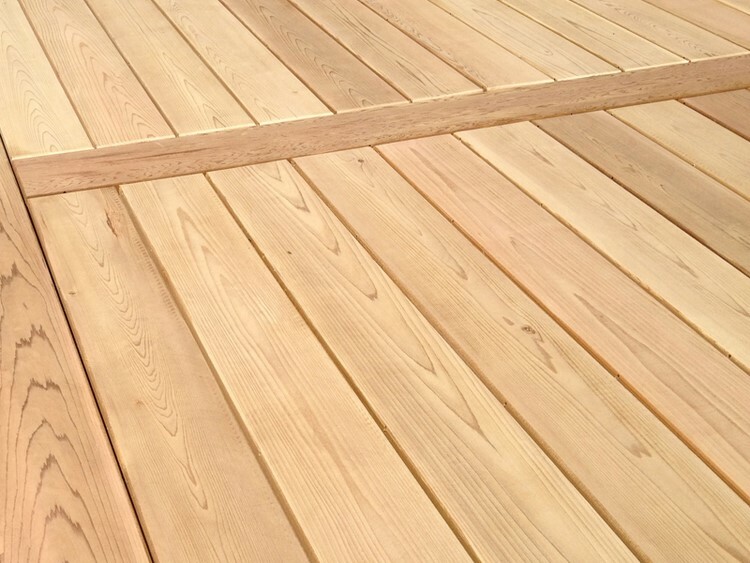 When compared to other decking materials such as cedar, dura deck or composite. It’s going to come in quite a bit cheaper. So if you’re working off a tight budget, this wood is going to be very attractive. 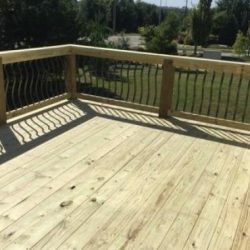 Another great advantage of installing pressure treated wood for you deck other than price is its durability, pressure treated wood is the most durable wood on the market. Which helps with dents and scratches over a period of time. 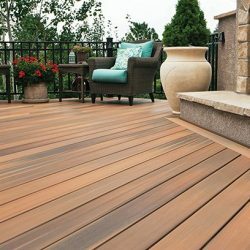 Like composite decking, vinyl has a number of colors to choose from. It also comes with the price of non-splintering like wood decking. Vinyl isn’t mold resistant. Small precautions have to be made for maintenance to avoid the mold build up. Simply wash over a few times over the season and you should be ok.